Apple has released iOS 11.4 for iPhone and iPad. 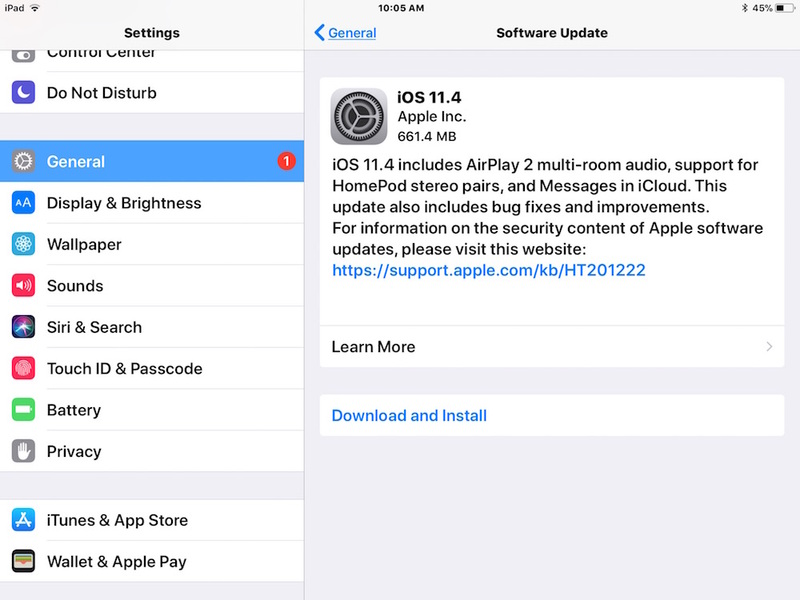 The latest iOS software update focuses primarily on the inclusion of AirPlay 2 support, some HomePod updates, and the addition of Messages in iCloud support, though there are a handful of other features and bug fixes as well. The full release notes are included below, along with a quick tutorial on how to update your iPhone or iPad to iOS 11.4, along with iOS 11.4 IPSW download links for more advanced users. Always backup an iPhone or iPad to iCloud or iTunes, or both, before installing any iOS software update. The update will download and install, the device will reboot itself to complete the process. Users can also choose to install iOS 11.4 on their iPhone or iPad by using iTunes when they connect a device to their computer by USB. Another option is to use IPSW firmware files. Most users are better off installing iOS 11.4 through Software Update or iTunes.